I'm very happy you like the game. Many thanks for your kind words. We really appreciate it a lot and glad to know you enjoyed our game. I am unable to add this game to my Cart on Steam. Could you look into that please? Since the purchase is not what we can see, I think you can get help from the support on Steam page. Hope you can get help from it. Here is my first video, - I'm really enjoying the game, the story and the mechanics; it's a great game so far! Awesome! Will it be available on Keymailer by any chance? Yes, we have plan for it. Thanks for putting this up here. I really enjoyed the demo of your game! I am really curious though - why the name Clocker? Why not watchmaker, timekeeper, something like that? I'd also suggest you run it though some grammar checks before releasing on Steam, because unfortunately it's liable to be poorly received otherwise. Some people can't get past that for the story. Hi, thank you for playing our game. About the name Clocker, it not only refers to father, who is a real watchmaker, but also refers to daughter. The daughter is not a watchmaker, but she is doing things about her past time. (You can find some clues if you go through the true ending for the full release game) I managed to make the name to describe both. So I use a words which is not only describing a job. And thank you for your advise about grammer. Since I'm not in an English speaking country, it is hard to avoid mistakes during translation. I will ask translators to go through the text again before releasing. Alright, I see then. Good luck with everything! Try the itch.io app: https://itch.io/app, it gets around common issues people have with downloading programs off the internet. Thanks for the feedback, we will get back to you soon after we check the issue. Please, let us know if you get this issue solved? We've tested the app file again, it should be workable. Could you check the permission? Or it may be related to the digital signature. 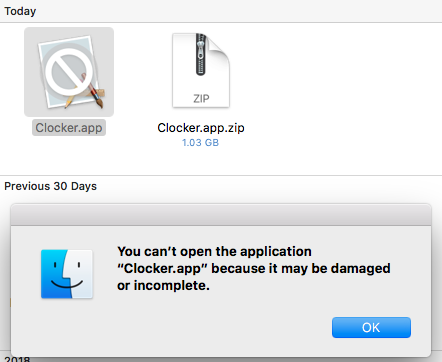 Hi, I just downloaded the latest Mac OS version; when I open the .app file the error says that the app is either incomplete or damaged. I'm going to download the demo on steam instead and see if it works on there instead. I will check our local build files, if you get any trouble, please contact us again. The start is a little slow but things get intriguing once you're in the gray. :) Can't wait for the release! Thanks for your playing! Like your video very much. So, to start out, the music is amazing and the art is gorgeous, if not a little confusingly inconsistent between characters (realistic vs cartoon in the same scene) and the concepts behind the gameplay are pretty interesting and well thought out. Being able to effect changes between someones timeline based on their interactions is pretty damn cool. However, the story itself felt a little off, as the father seemed a little too aloof to make him a character I really empathized with, and the gameplay on a moment to moment basis is really tedious. The interactions are awesome, but having to jump into and out of interactions while moving around the environment was just slow, especially in scenarios with several outcomes. Overall, I think if the player interaction could be streamlined a bit for the sake of gameplay pacing, it'd be an improvement, but it's still a damn interesting game! We are glad to hear that you like this demo. We are still trying to polish it before it is officially launched. It means a lot for us to get feedback from the community, thanks a lot for your comment.